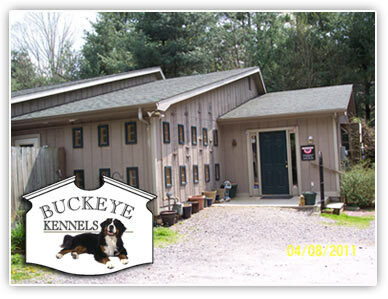 If you are searching for Asheville Kennels, Dog Boarding, Dog Daycare or Dog Grooming, Buckeye Kennels is the place you are looking for! We have been taking loving care of area pets since we opened in March of 2000. We offer "boutique" style dog boarding in a small facility with a high staff to pet ratio that allows us to individualize care. We know that dogs can "talk" and we "speak" dog. We are committed to you dog's emotional well being as well as it's physical safety. We now, thanks to popular demand, offer "playcare" groups in our newly expanded facility. Copyright © 2019, Marie Steele, Buckeye Kennels, Swannanoa, NC, USA.